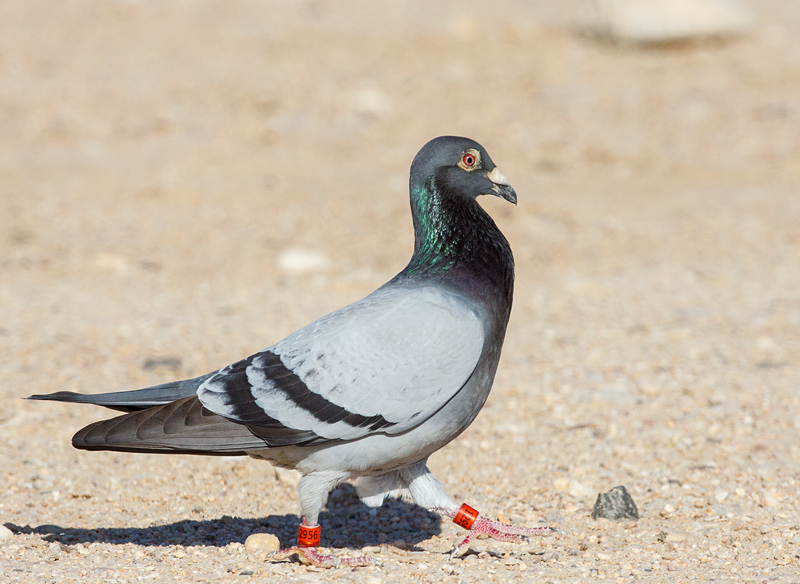 Homing pigeon seen at Doha Golf Club on the 21/04/2014. Right leg ring. Qatar 2010. QAHP. Partial number 250. 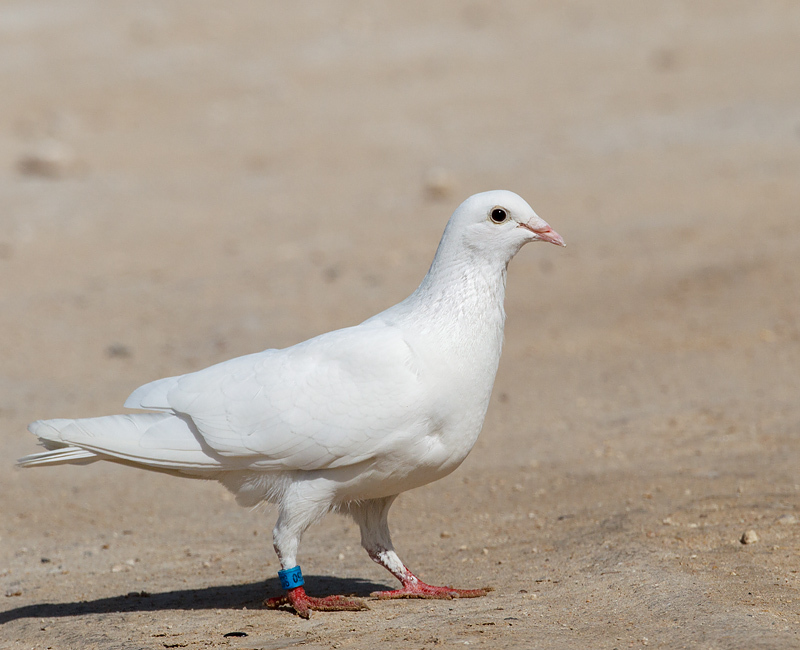 Homing Pigeon seen at Irrkaya Farm in Qatar on the 8/04/2014. Left leg ring 1295. Right leg ring 2956. Also what looks like Qatar 2011 printed on the ring. 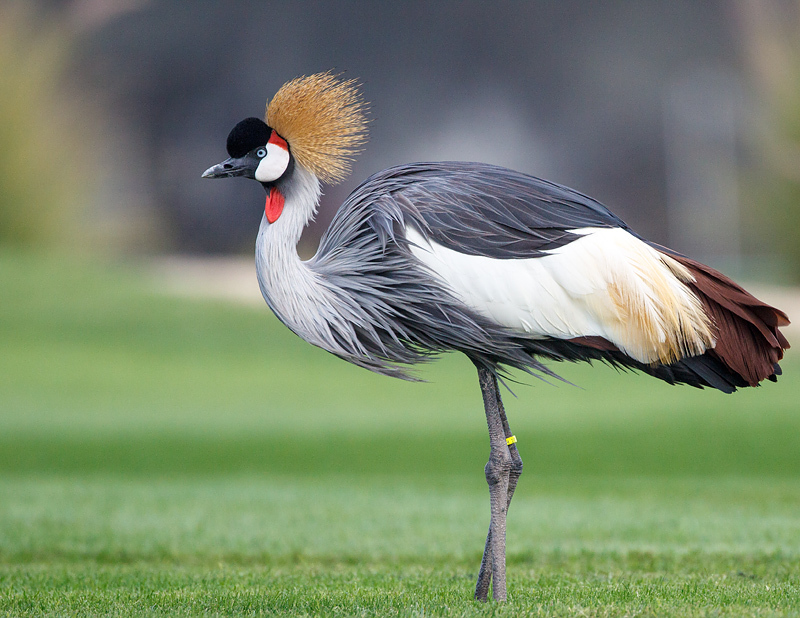 Crowned Crane. Photographed in Doha City Qatar December 2013. Presumed to be an escapee from a collection, as it is far north of its known distribution range in East Africa. A second bird was seen and photographed by Jamie Buchan alongside this bird in January 2014 at another location in north eastern Qatar.. The second bird did not have a visible leg ring. 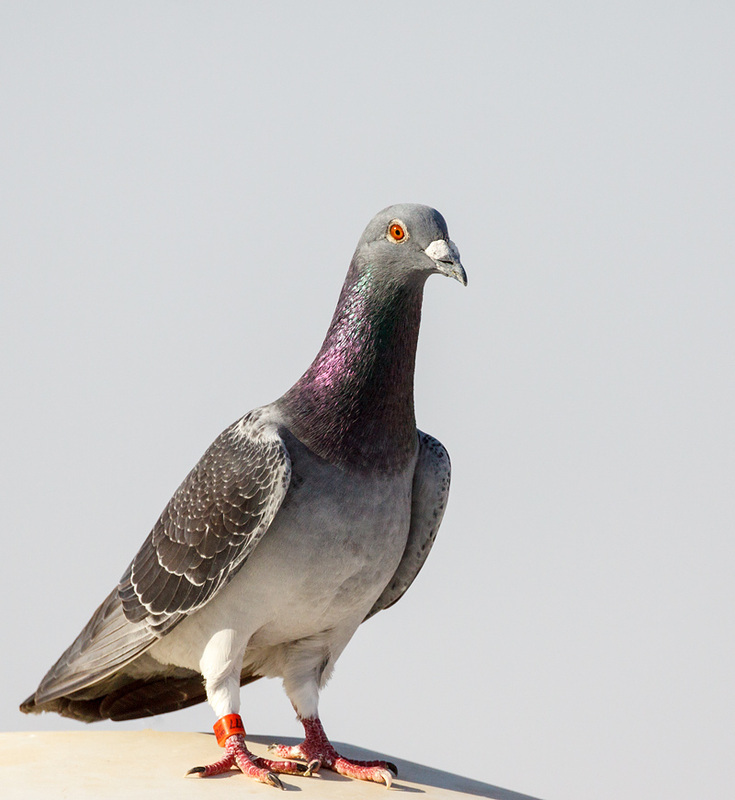 Homing Pigeon. Photographed at Irkayya Farm in Qatar in October 2013. Part number visible 0277. No further information received to date. 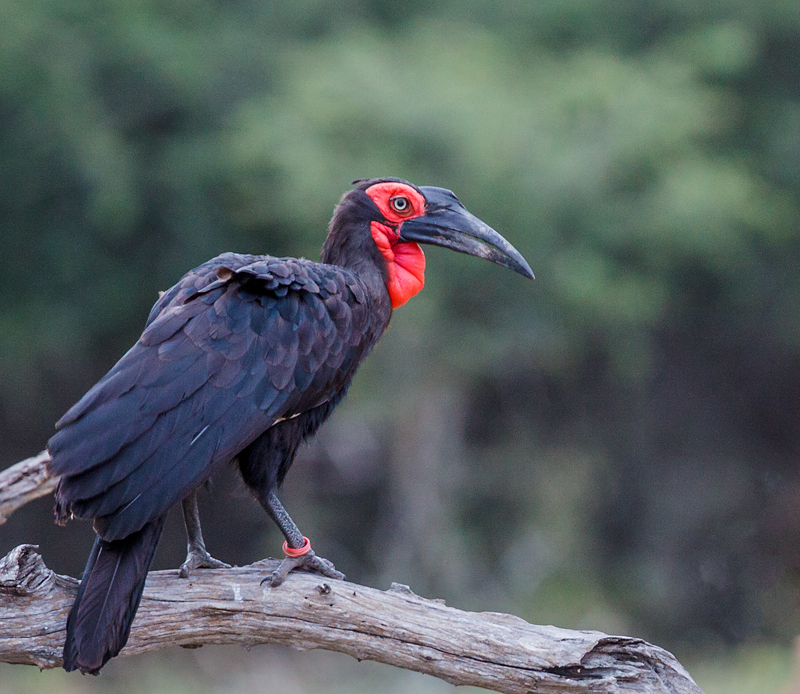 Mature Male Southern Ground Hornbill. I took the photo in March 2013 near Hamilton's Camp in the Kruger National Park. 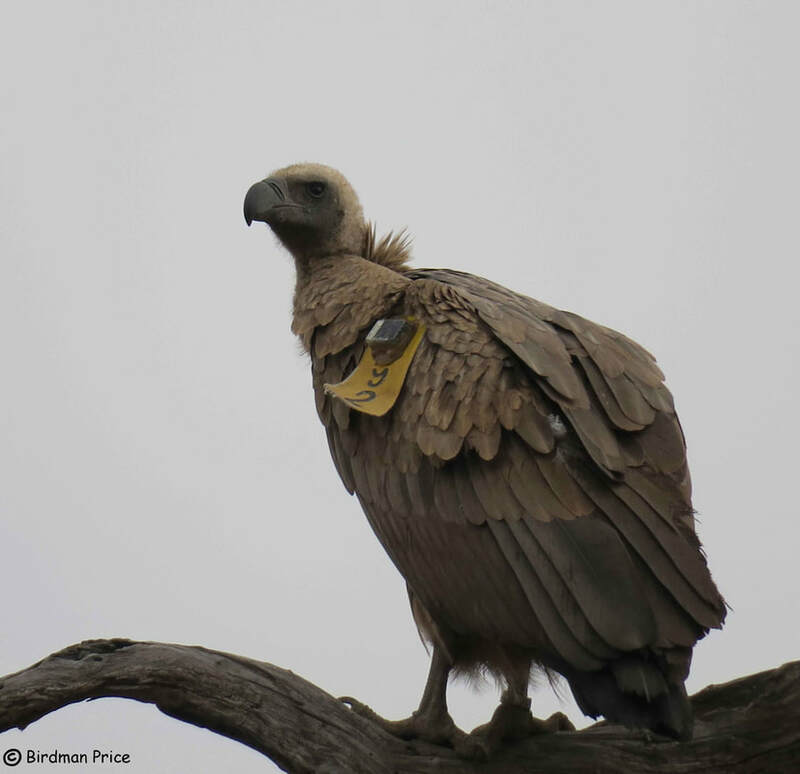 The bird was originally ringed as a nestling from the Janovsky Farm nest in the eastern Klaserie area in 2007 as part of a research project run by the Percy Fitzpatrick Institute. Dispersal distance was some 80 km. 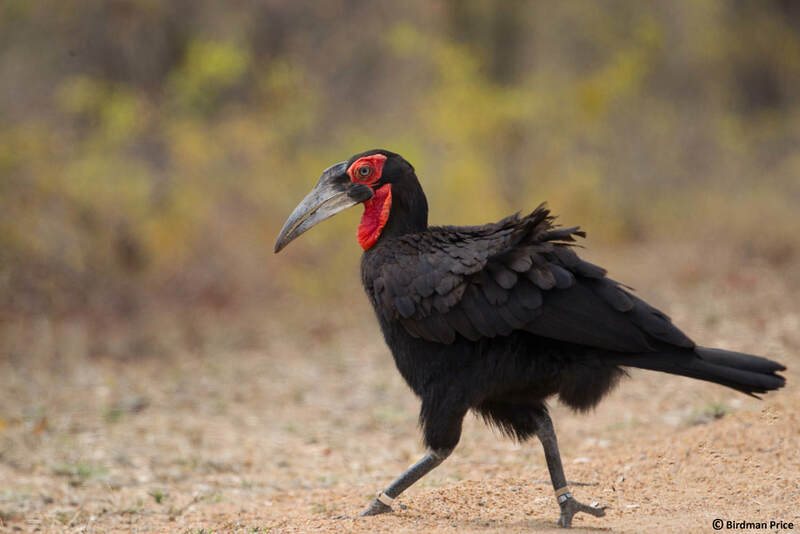 Information kindly supplied by Kate Meares from the Ground-Hornbill Research and Conservation Programme. 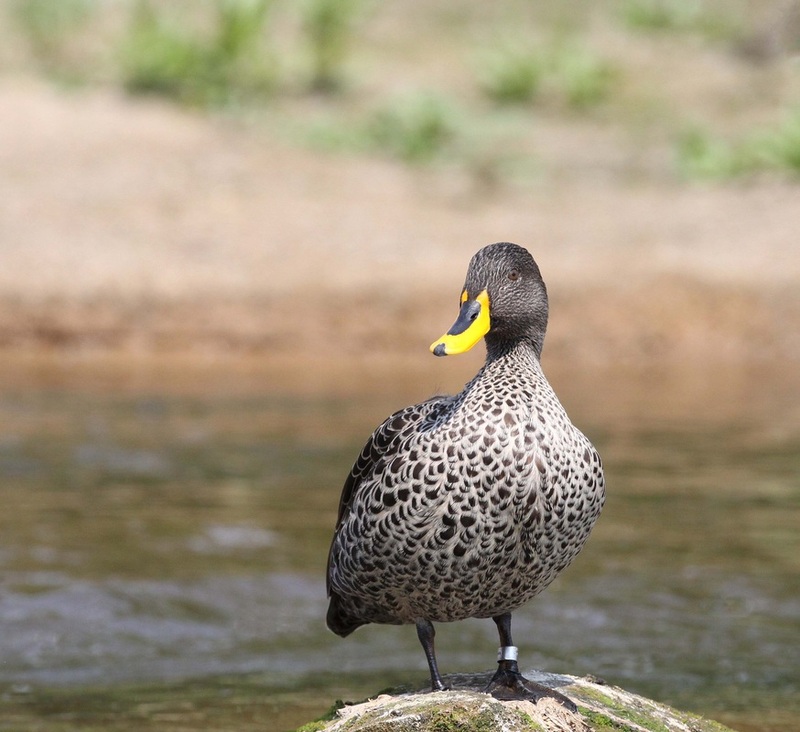 Yellow-billed Duck. This photo was taken on the Jukskei river on the 24th March 2012. See the image below from September 2011. I suspect it is the same bird. Partial wording of varsity cape which could read.... varsity cape town on the wrap around. 8 600 (7) with a possible 7 included in the number. Doug Harebottle, the Project Manager SABAP2 checked the database but could not match this partial info with any numbers on file. 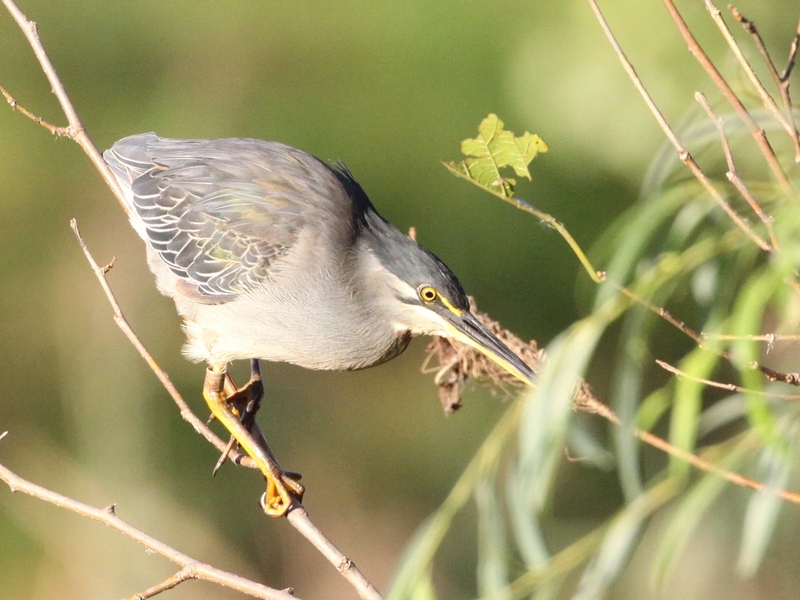 Green Backed Heron. This bird was photographed in Johannesburg, South Africa in March 2012. A partial number of 48 is visible with a possible 1. Doug Harebottle, Project Manager SABAP2 of the Animal Demography Unit University of Cape Town provided the following possibilities from the database. Two were of birds ringed by the late Prof Steven Piper near Umhlanga/Umdloti on the east coast, and the other by Lizanne Roxburgh in Zambia. Both of these outside possibilities would be brilliant records given the distances involved. He cautioned that there may also be a ring with the 481 number included which at the time of the correspondence had not yet been submitted. Marabou Stork. 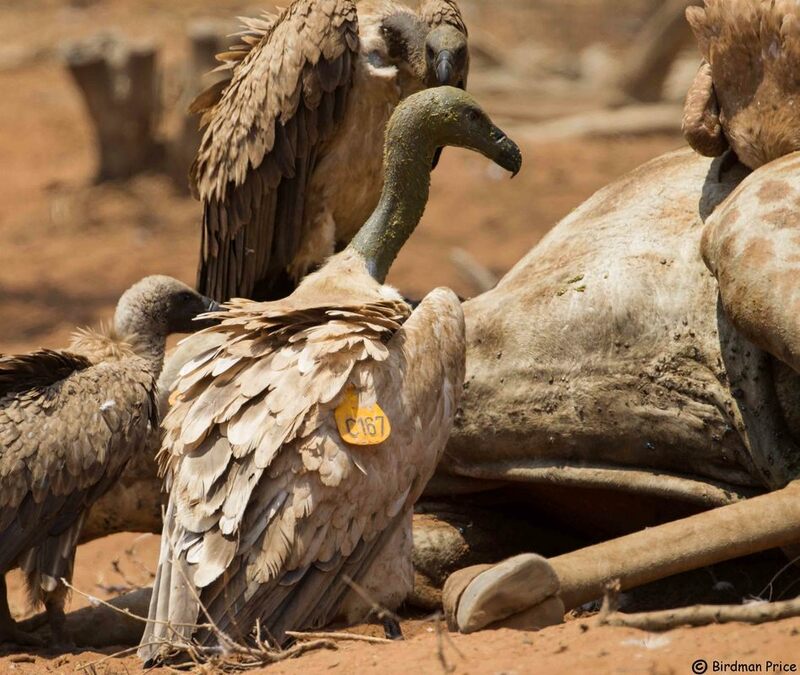 Photographed in Limpopo province on the 2th October 2011, where I saw it in the company of Hooded, White-backed and Cape Vultures on an elephant carcase (241033S312315E). 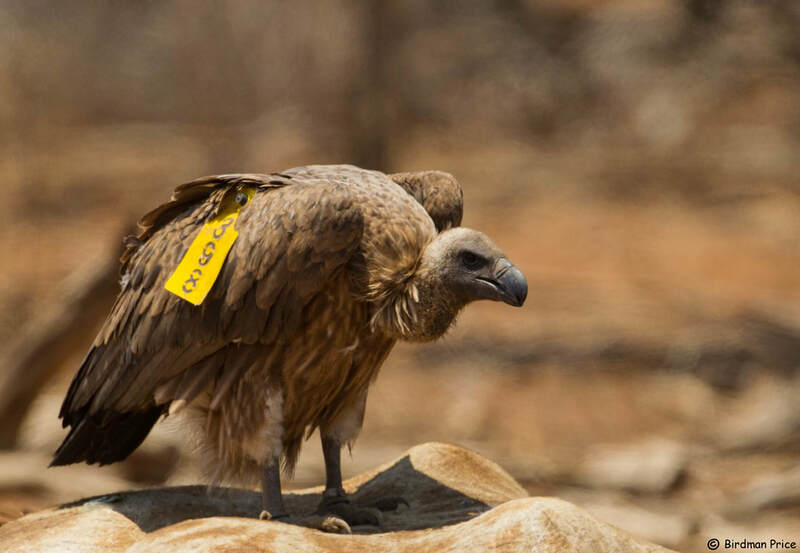 This bird, S040, was tagged in Swaziland as a chick on the 23rd September 2010 by Prof Ara Monadjem. 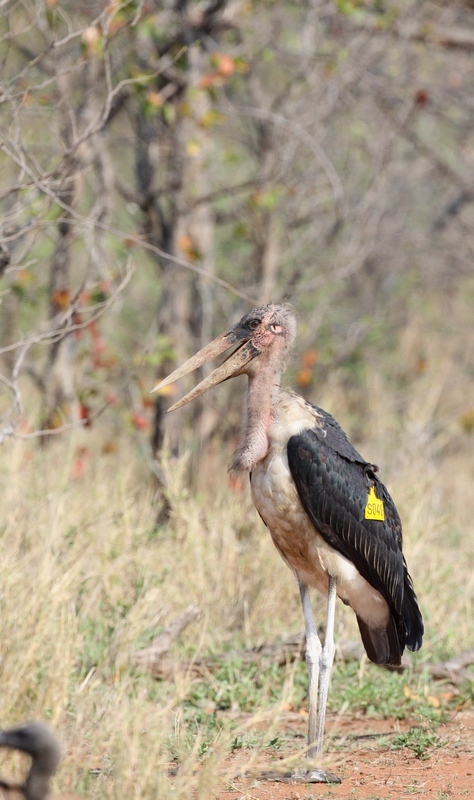 He has tagged over 200 of these storks, of which approx. 1/3 have been re-sighted. 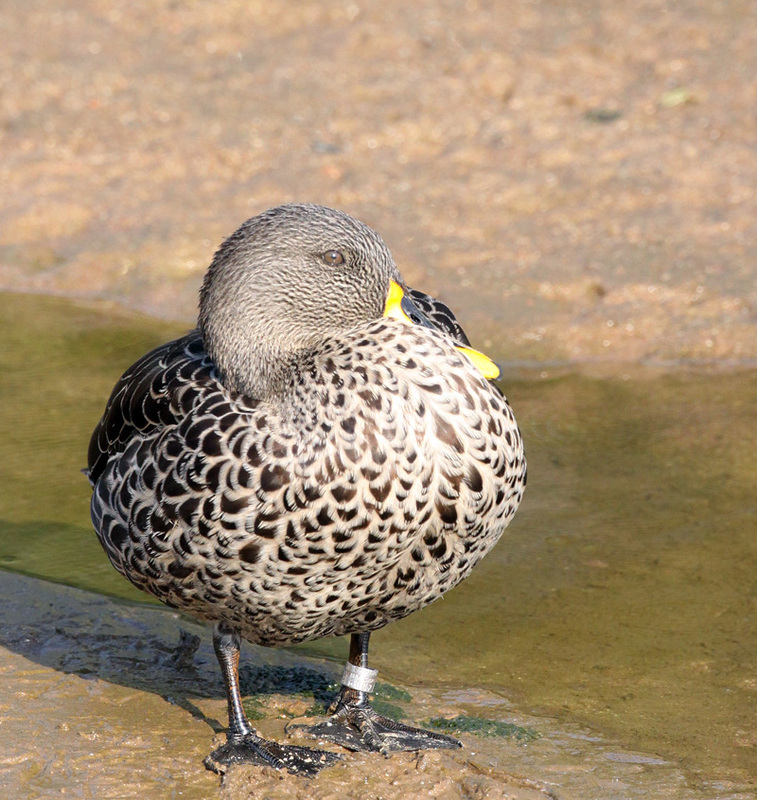 Yellow-billed Duck. Photographed on the Jukskei river, Johannesburg South Africa in September 2011. No clear numbers or letters visible. See later entry for the same bird.